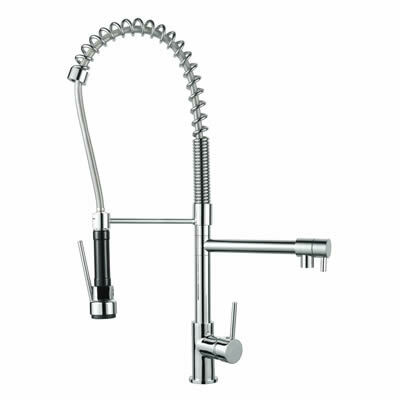 Make a statement by adding this style Alpine Sink Mixer and Sprayer to your kitchen sink. 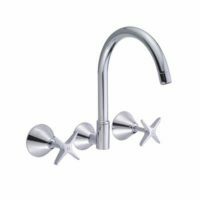 Featuring a rugged, commercial design, this attractive tapware definitely offers great value for your money, and has been clearly designed allow for easy installation in any kitchen. Presenting the perfect mix of style and practicality, it is ideal for cleaning vegetables, kitchenware and even the sink. 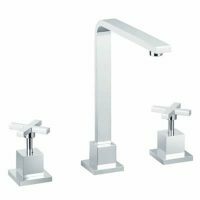 Available in a stunning chrome finish, this tapware features solid brass construction for added durability. 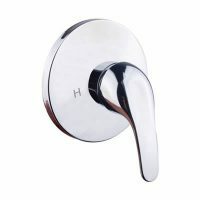 It is also equipped with ceramic disc cartridges which make the water flow and temperature easier to control. The Alpine Sink Mixer and Sprayer has a water consumption of rate of 6.5 litres per minute, a 4 star WELS rating and it is also Watermark approved. As with all Alpine tapware, there is a 5 year guarantee on the tap body, a 2 year guarantee on the cartridge unit and a 1 year guarantee on the finish. Rest assured– this tapware is definitely of the highest quality. For add functionality and style, add the Alpine Sink Mixer and Sprayer to your kitchen today. Buy this product at the lowest price – only at Ross’s Discount Home Centre!